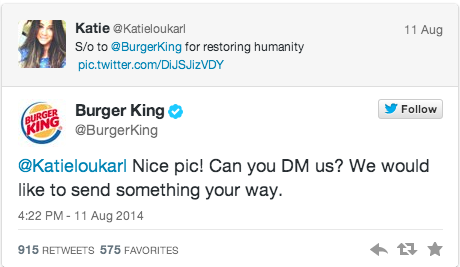 Gentlemen, That's What We Call a "Smooth Opener"
Watch Out Ladies, Burger King Is on the Prowl! Sadly, the feeling wasn't mutual. 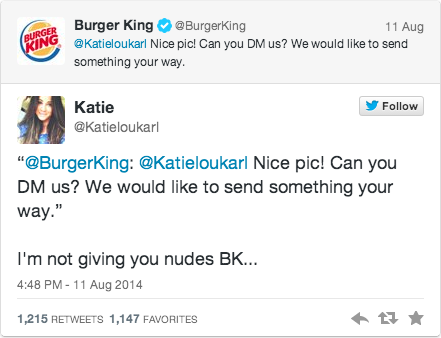 Looks like BK is a king without a queen. What Part of "at Starbucks" Didn't You Understand? You Had Me at "Randy Skinhead"
How is This an Acceptable Method of Flirting? Take Pride in Your Incredibly Awkward Embarrassing Moment!